PHH Solicitors are specialist Domestic Violence and Abuse Solicitors on the Fylde Coast and across Lancashire areas. Domestic violence or abuse can affect anyone. If you are a victim of domestic violence or believe your children may also be at risk, we can act quickly to get you the protection you need and apply for an injunction against the abuser. We can offer sympathetic advice and legal representation. A Non-molestation Order – this is an injunction which prohibits someone from using violence against another person, threatening them with violence or harassing, pestering or molesting them. An Occupation Order – if a violent individual is threatening the safety of you and your children then it is possible to apply to the court for an order compelling that individual to leave your home and/or prevent that person from coming within a stated radius of it. We offer free initial consultation to all our clients, and able to provide Legal Aid in most domestic violence cases. Fixed Fees (if not eligible for Legal Aid). 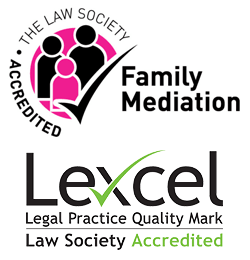 To book a free initial consultation with our Family Law Team, call 01253 824216 or get in touch online.